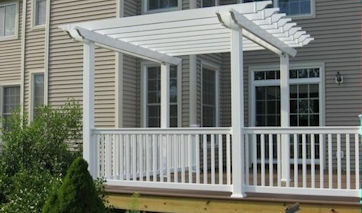 Sprigs & Twigs Master Carpenter has over 20 years experience in designing and installing top quality composite and wood decks, stairs, and home additions in East Lyme, Niantic, Groton, Ledyard, Old Lyme, and other towns throughout southeastern Connecticut. View our Carpentry Portfolio to see examples of our Decks, Stairs, and Home Additions. Contact Sprigs & Twigs today to discuss your Deck, Stair, or Home Addition project.